Many people know that almost all international students need to wear school uniforms in their schools in their countries. Why do the students from different countries wear uniforms? “It looks more official,” Abhisek Sinha a junior from India said. “I think it’s because of the school policy and the main office of education,” Mariane a sophomore from the Philippines said. Muhammad Waqar a senior from Pakistan thinks it’s because people in other countries are rich and poor. “If they wear uniforms, everyone will look the same,” he said. “I think they wear uniforms to represent who they are,” Benjamin, a Blair senior from Ghana said. In El Salvador, even private schools tell students to wear a uniform. If not, they get suspensions. “The shoes, socks, skirt, pants, even short pants, must to be as the school requires,” Cindy, a Blair junior from El Salvador said. But in some public schools, uniforms are not a requirement for students. Also, people who are going to graduate, sometimes use a different shirt, similar to the custom at Blair of having a senior T shirt. 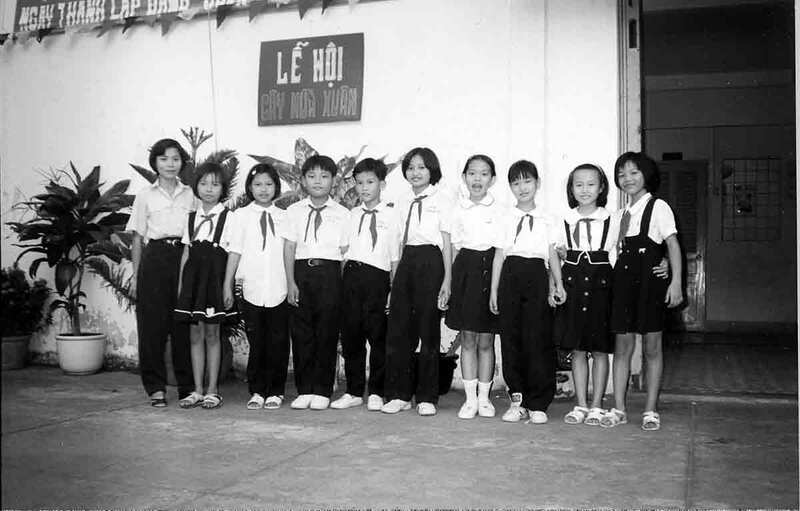 In some schools in Vietnam, students have different kinds of uniforms for certain levels of education. For students in elementary school, they only wear white shirts and dark blue pants (no jeans are allowed in school). In middle school, students wear the same as elementary school, but they have scarves around their necks. Different sexes of students at Vietnam require different types of clothes. “Girls ought to wear ‘ao dai’ traditional dress to school, even female teachers as well. The boys wear white shirts and dark blue,” Long Nguyen said. Should we have a uniform at Blair? According to a survey of 165 ESOL students at Blair, there are 74 students who would still love to wear a uniform. “It looks nice, clean and respectable,” Mariane said. “I think a school uniform is more suitable for students to wear because that look more like a student,” Toan Ha, a junior from Vietnam said. “I think a school uniform is really important for a student’s life because they will clean [it] properly,” Eva a new 11th grader from India said. At Blair, we have two things that are like uniforms, IDs and class T-shirt. An ID is one thing that the school forces students to wear every day in school. However, some students in other countries have been forced by their schools to wear an ID and uniform. But U.S. public schools allow students to have more choices in what they wear. A class T-shirt represents the school spirit colors and the grade level of students. About 42% of ESOL students would like to wear class T-shirts more than school uniforms at Blair. Some people think a class T-shirt is more suitable for students to wear because you can identify who is in which grade. A T-shirt cannot cause some problems that a uniform might be a problem for some people. Many school uniforms are short skirts for girls. 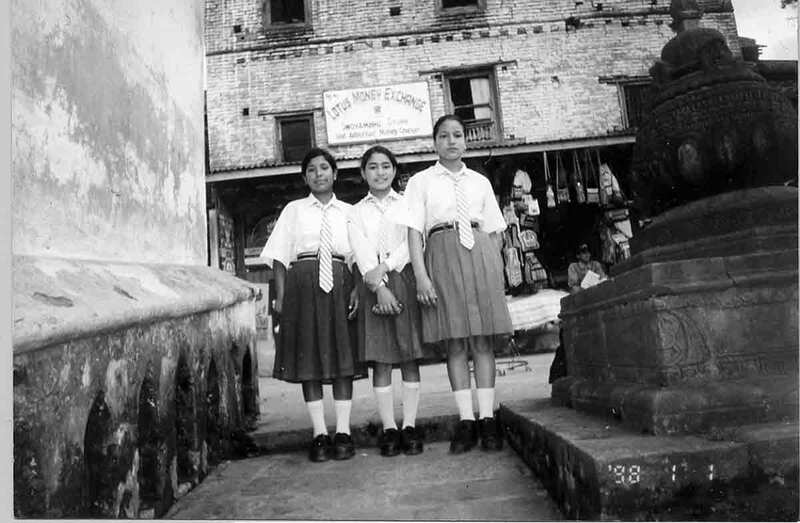 “It [a short skirt] is against some religions,” Sabila a 12th grader from Bangladesh said. There are some advantages for class T-shirts. “The difference between class T-shirts and school uniforms is that the T-shirts are optional but uniforms are required.” Isaac Arnsdorf, a junior who was born in America said. But maybe some students won’t want to wear a class T-shirt. “If you are a senior, you most likely love to wear a senior T-shirt,” Abhishek said. But a freshman may not want someone to know that he or she is new to the school.